One of the more confusing topics that, I believe, requires further explanation under MFID II deals with Tied agents and Introducing brokers. Is a Tied Agents equivalent to an Introducing Broker? Let’s look at each of them in turn and see how they differ and how each is affected by the rule changes in the new MiFID II directive. What is a Tied Agent and what changes are coming under MiFID II? 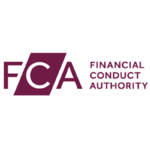 The legal description of a tied agent is that it is “a firm who, under the full and unconditional responsibility of only one MiFID investment firm on whose behalf it acts, promotes investment and/or ancillary services to clients or provides the services of either receiving and transmitting instructions or orders, placing financial instruments or providing investment advice on financial instruments”. Some minor changes are being made to the rules relating to tied agents, including one clarifying that tied agents will be able to hold money belonging to clients. EEA Member states will be required to implement a tied agent regime in their own state (whereas previously it was optional). It is not possible for a tied agent to provide investment services on behalf of more than one investment firm to which MiFID applies. Let’s take the UK’s FCA as an example and look at a scenario in which a UK firm appoints a tied agent established in another EEA member state, but in which that tied agent cannot be registered (because the EEA member state does not maintain a tied agent regime). Under such circumstances, such a tied agent must be registered with the FCA. Under MiFID II, tied agents established in other EEA member states need not to be registered in the UK for these purposes because all EEA member states will be required to maintain tied agent regimes. What is an Introducing Broker and the inducement changes under MiFID II? A firm / Individual which introduces transactions relating to designated investments arranged (brought about) for its clients to a clearing firm. Introducing Broker’s (IBs) introduce clients to investment firms, so that firms can provide services to those clients. This does not bring about a transaction and so will not amount to receiving and transmitting orders and therefore doesn’t come under the scope of MiFID. But if an IB does more than merely introduce, for example an introducing broker, receiving orders on behalf of your clients and transmitting these to clearing firms and therefore may fall within the scope of MiFID. 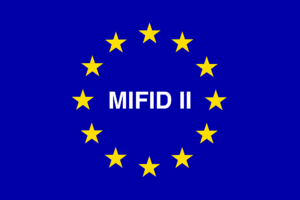 MiFID II enhances the existing MiFID inducements standards. It clearly states that any inducements should be disclosed to the client. Article 9(3)(c) of MiFID II introduces a new, explicit requirement on the management bodies of investment firms to “define, approve and oversee […] a remuneration policy of persons involved in the provision of services to clients aimed at encouraging responsible business conduct, fair treatment of clients as well as avoiding conflicts of interest in the relationships with clients”. Does not impair compliance with the firm’s duty to act honestly, fairly and professionally in accordance with the best interest of its clients. The key goal of MiFID II directive is to bring transparency to the financial markets. MiFID II restores the existing law and extends the scope of MiFID 1. Even though the implementation increases costs and poses significant challenges for brokers, in my opinion it will also strengthen Europe's financial market and bring clarity to the system. *This is my opinion and not a legal advice.